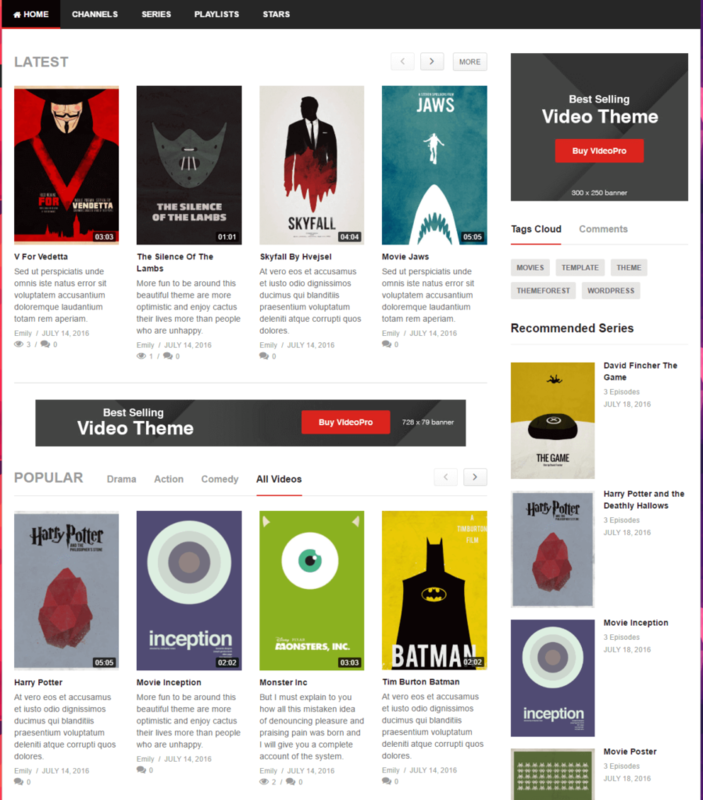 What is VideoPro ChildTheme Poster Size? How to install VideoPro ChildTheme Poster Size? You can easily find videopro-child-poster.zip file in the VideoPro’s package you downloaded from ThemeForest account. Step 2: Click Install Now and Activate button to use the VideoPro ChildTheme Poster. Please make sure that you have uploaded the images having poster size. For Video playlist and Video channel images, the images are HD (16:9) images. The Featured Image of Video Series is full-size image as the original images uploaded by users.